Samsung Galaxy S5 4G launched in India, Priced at Rs. 53,500/-. The smartphone available in Indian markets from 20th July. Samsung Galaxy S5 4G has a special features it is the first smartphone with Wi-Fi MIMO (Multi-Input Multi-Output), Fastest Wi-Fi Smartphone. 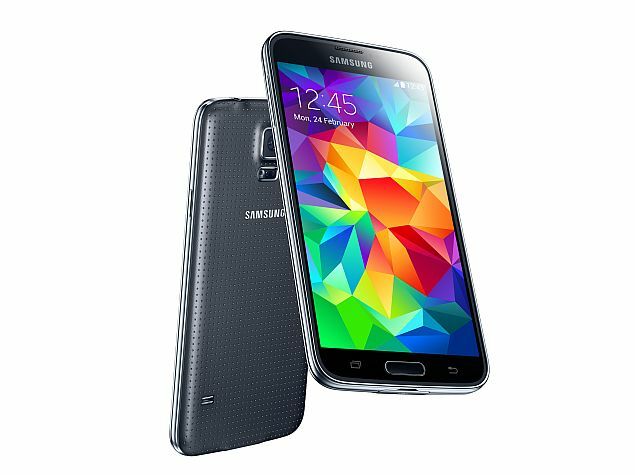 Technical features of Galaxy S5 4G is it comes with 5.10 Inch capacitive multi-touchscreen display with 16 M colors, Snapdragon 80.1 2.5 GHz Quad Core processor with Qualcomm MSM8974AC chipset, 2GB RAM alongside 16 GB Storage memory (Expandable up to 128 GB), 16 MP rear facing Auto focus camera with 2 MP front facing camera, and the device runs with latest version Android KiKat v4.4.2 OS with TouchWiz UI. Smasung Galaxy S5 4G supports Wi-Fi (MIMO, 802.11 a/b/g/n/ac), 2G, 3G, 4G, GPS, Bluetooth, NFC, FM, Micro-USB, 3.5 mm Audio Jack, etc. The smartphone has sensor such as Compass, Magnetometer, Proximity sensor, Accelerometer, Ambient light sensor, Gyroscope, and Barometer. The smartphone packed with a 2800 mAh battery. "We are excited to introduce our first 4G variant of the Galaxy S5 in India with a powerful processor, stunning display and faster connectivity for an unmatched user experience. We expect the 4G version to catch the imagination of technology enthusiasts and professionals, who demand superior smartphones for their heavy multimedia content consumption," said by Asim Warsi, Vice President (Samsung India).